Is the Moodle App being used by your learners?Are you encouraging your learners to use the Moodle Mobile App? It’s certainly a different experience to using Moodle via a web browser on your desktop or laptop computer. Of course you can also access your Moodle site using a mobile browser on a tablet or smartphone (using Chrome, Firefox, Safari, and so on). 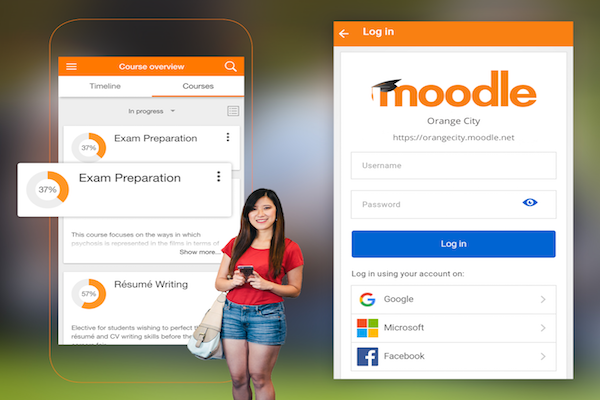 So why use the Moodle Mobile App? Well, it’s certainly not something you would use to create courses, that’s still a lot faster and easier using a computer and browser. Are you using the Moodle app with your learners? If so, how are they using it?